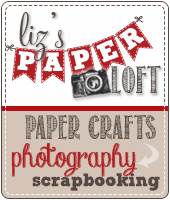 Liz's Paper Loft: My Creative Time ~ August Stamp Release Sneak #4! Hi Everyone! 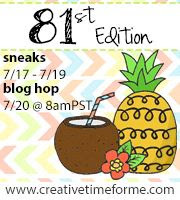 I just can't believe today is the last day of My Creative Time's sneak peeks! This week has just blown by, with all the creativity that the whole team his shown! 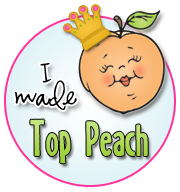 I hope you enjoyed all the projects as much as I have!!! Today I get to share with you the 3x3 fancy tri-fold card & 3x3 fancy envelope die. These are just fabulous as they are, but of course I just can't leave well enough alone! :) So I decided to make the envelope into a small little treat box! Just by adding a score line on each of the tabs about 1/4 inch from the original score line on the die. Easy Peasy!!! To create the window, I first die cut the envelope, then placed the frame die where I wanted the window! Since I used two sided pattern paper, I turned over the cut part and attached it to the card! Waste not want not!!! Next I cut burlap with the heart die from the 100% Sweetness Set, you can even see some of the stitching lines in the burlap! I also used the leaf dies from Piles of Smiles for added embellishment! Added some kraft seam binding ribbon and pearl from my Boutique. Then topped off the card with a tiny paper clip! How cute is that. Oh, I have one more thing to share with you...My new Boutique is open! This should make shopping easier for you! If you have any problems with the new Boutique, just email me! This is so perfect!! Another must have!!! I absolutly love the paper you used! Great inspirations. Very creative on the envelope and I love your card. Great release. Beautiful! I love your card and how you cut the window out of the envelope. Did you have to do anything to the burlap to keep it in tact while/after you cut it? These are gorgeous Liz! 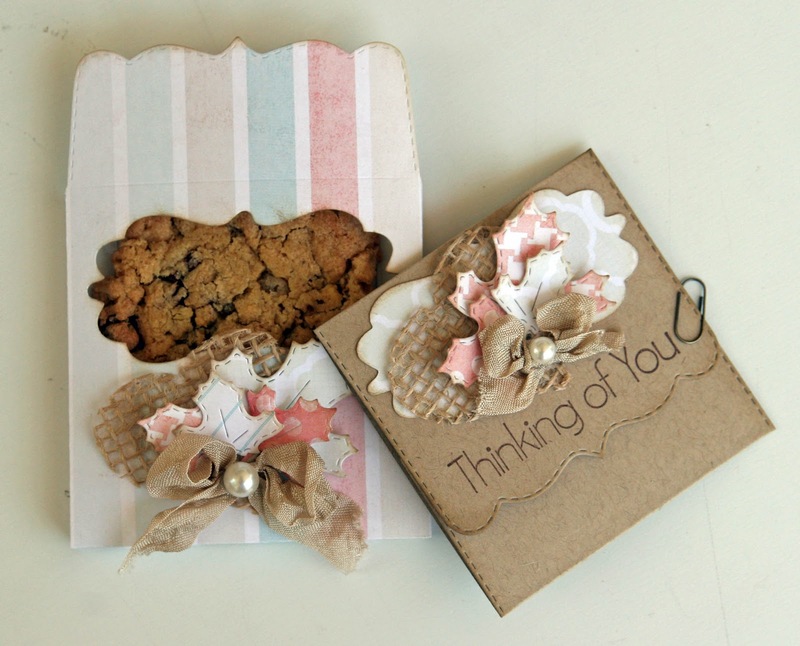 Love the soft colors and love that you cut the burlap with the heart die! So super creative! Thanks for sharing an amazing week of sneaks and for all these awesome ideas !! What an awesome new release!! Have a GREAT day!!! This is just lovely. I can't wait until the release. Thanks for the inspiration. OMG, this is the sweetest thing ever! I love how you turned the envelope into a treat box! And the heart made from burlap is so pretty! Love it all!!! What a great idea to add a cookie to the envelope as a treat! Love the soft neutral colors you used! Wow, what an amazing idea for the envie! I love it made into a little box! The card is super cute too and so fun! 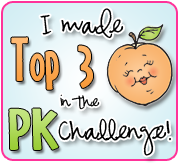 Thanks for all the great ideas this week!! Very cute--I like the burlap heart. Love your envelope! Love the pastels! Super cute! Super awesome projects! I love the creativity you used creating that cool window in the treat box. Oh, the possibilities!! Liz ~ OMG! Okay besides ALL the BEAUTIFUL paper and PERFECT details you added this is just WAY to CLEVER! I LOVE it!!! What a CUTE and FAB idea!!! I just ADORE this!!! You ALWAYS come up with some AMAZING ideas!! WOW! Liz this is gorgeous!! I love this release. Great job! What a yummy idea! Love the kraft one too...so pretty! Great idea and I really love the colors. WOW oh WOW Liz! So fabulous, awesome idea. You showcased this set perfectly I LOVE the treat box idea! 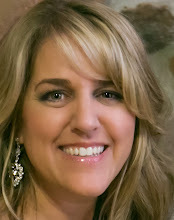 Liz this is just great - I love how you altered an already perfect product! Leave it to you to make something so unique..you are so amazing my friend.. I love it. Love how you made the envelope :) What a great idea. What a yummy idea!! I love the burlap heart and the leaves used as well!! 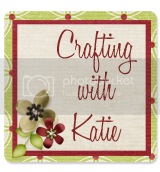 Super cute your projects!! I love the burlap heart! Super cute and creative! Loved all the detail you added with the different dies. Great job Liz, Im so going to have to try this out when I get my set:)lol. Love how you turned the envelope die into a treat box. I really like how you decorated it, too! TFS! Wow such a beautiful project. I absolutely love the heart! The treat looks so yummy too! You did an amazing job as always! This card looks so shabby chic. Love all the embellishments. Look at you! 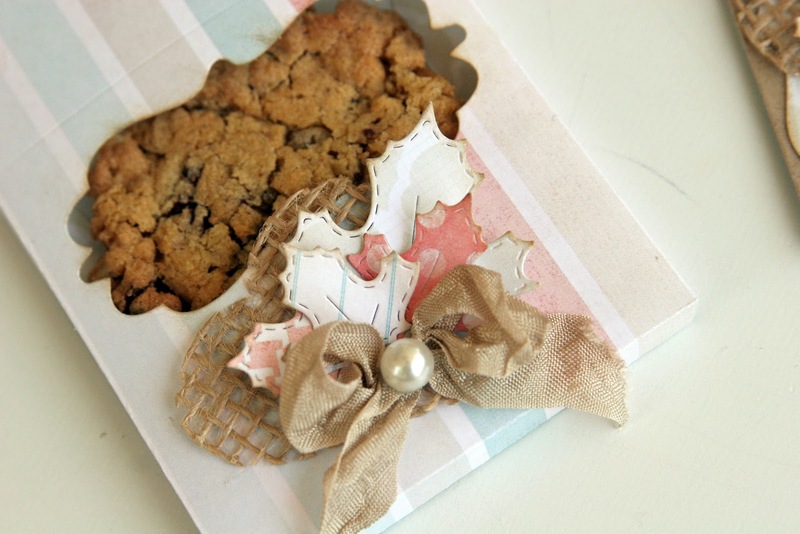 Putting a cookie in the envelope - so creative. Clever idea to score envelope to fit bigger things or a card with lots of embellishments. I love using the dies to make a window...the dies are so useful for so many things. I am going to love the leaf dies and I like the burlap hearts. Great job! Smart thinking Liz in making the envelope into a treat box. Very clever. By the way thanks for the super fast delivery of my last order - I was shocked at how fast it got here. Thanks. Super Cute envelope! !Yummy treat too!Fabulous and so much fun!! 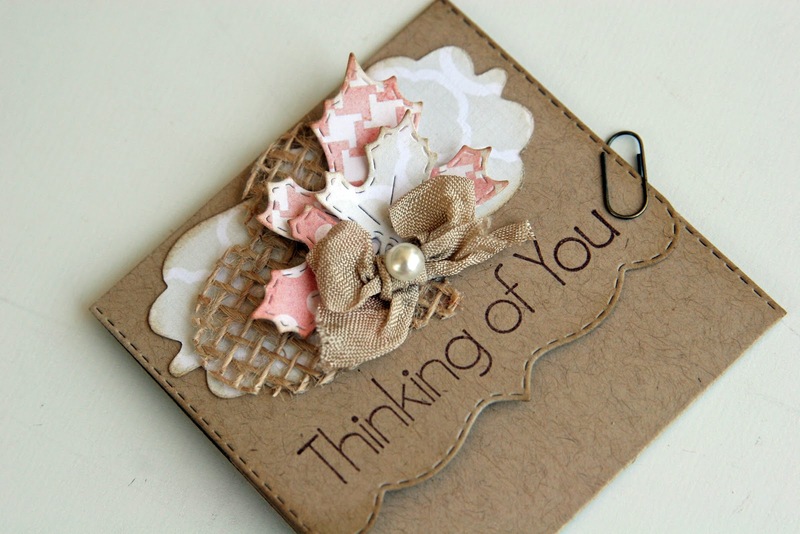 Cut tri-fold card and like that you used kraft paper. omg what an awesome idea! LOVE! come on midnight I can NOT wait for this release to be available! This is a great idea! Thanks for sharing. This release is just awesome and looking forward to the release. What a great idea, thanks for sharing.!!!! I love your card too!!! Very creative project. I love how you repurposed the cut out label onto the card. Love, love, love the envelope/treat bag. Fabulous idea, such a cute way to gift a cookie/treat to someone for Halloween or for Christmas. I love your card and cookie treat holder. What a wonderful way to share a cookie. TFS. WOW! 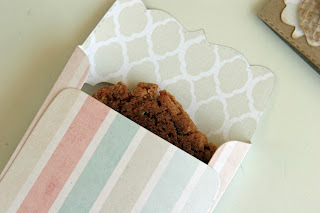 Great idea as a cookie holder! Thanks for sharing! I would love to receive a cookie holder! So cute. These are too cute. Cookie looks good too. What a great idea. I have enjoyed all the sneak peeks. You have made an awesome job! GORGEOUS LIZ!!! WOW =) Lovin the burlap heart!!! I am gonna have to pic up some burlap in your store soon =) Hope you are doing well!!! Great creativity, Liz! So pretty. Good luck with your store. What a great idea. I love it. Good luck with your store. Very cute Liz!!!! I love the 3 x3 card and envelope dies! The projects are all amazing for this release..I want it all! LOL! Love all that you made for this release!!! I love what you did with this project!! very cute and creative! Love this idea! I will have to try this one. yay Nancy! I'm glad you're happy with it!!! No, the 2 1/2 burlap I used from my boutique has a slight stiffness to it, so it just stayed together. Thank you for asking!